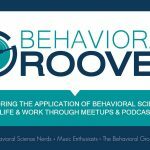 Motivated by adversity: Dr. Horrible’s Sing-Along Blog – Behavior Matters! “Once upon a time, all the writers in the forest got very mad with the Forest Kings and declared a work-stoppage. The forest creatures were all sad; the mushrooms did not dance, the elderberries gave no juice for the festival wines, and the Teamsters were kinda pissed. (They were very polite about it, though.) During this work-stoppage, many writers tried to form partnerships for outside funding to create new work that circumvented the Forest King system. It started with the writer’s strike in 2008 – “…all the writers in the forest got very mad with the Forest Kings and declared a work-stoppage.” With this strike, writers like Joss had a lot of free time on their hands and no real income to speak of. “The idea was to make it on the fly, on the cheap – but to make it.” For Joss, it was not only a challenge to write it, but to get it done cheap so that financing wouldn’t be an issue and most importantly, to get it done. “to turn out a really thrilling, professionalish piece of entertainment specifically for the internet. To show how much could be done with very little. To show the world there is another way.” It was about achieving a dream or passion. Of showing the world that “there is another way.” That what he was setting out to do was to reinvent something and in so doing, change how we all view the how entertainment is made and delivered. Did it start out as a response to a crisis – yes. Was it pretty ambitious – yes. Fueled by multiple drives – yes. Ended up being something inspirational that could motivate through all the difficulties and set backs – yes. This was no small feat. Joss had to figure out a way to do something that he had never done before (and there were no clear road map to follow). It required a great deal of motivation to persevere and accomplish what he did. We can see how all four drives from the 4-Drive Model were activated. But it took even more…it required a passion. Joss created a vision for himself and the people who jumped on board to see how they could change an industry and change the world as it was known. This, I believe, was and is a very valuable lesson. We have to create the vision for people to believe in in order to be passionate. I wrote about this in regards to the passion required to create the huge monuments in South Dakota. It is evident here as well. Are you Spock or Kirk when it comes to motivating?